President Muhammadu Buhari on Friday joined members of Redeemed Christian Church of God, all Christians and all well-wishers in celebrating wife of the church’s General Overseer, Pastor Folu Adeboye, who turns 70. Buhari, in a statement by his Special Adviser on Media and Publicity, Mr. Femi Adesina, said he rejoiced with Adeboye family and friends for the grace of service that God has bestowed on them. The grace, he said, was evident in preaching and living the truth of the gospel, counselling the young and old, and providing warmth and succour for the weak and underprivileged. 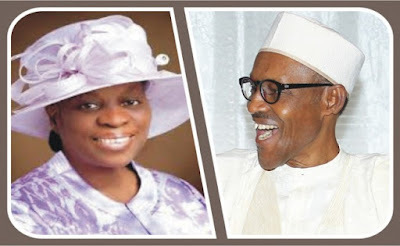 The statement read, “As Pastor (Folu) Adeboye, who is better known as ‘Mummy GO,’ attains the landmark age, the President believes her achievements surpass teaching and preaching on the pulpit to include living out the practical love of God, and encouraging many on the virtues of humility, knowledge, and hard work. “President Buhari affirms that Nigeria’s greatness today among the comity of nations derives largely from the prayers and teachings of mothers like Pastor Folu who regularly seek the face of God on behalf of the country and its citizens, and persistently show that real success comes from adding value and bringing joy to others.